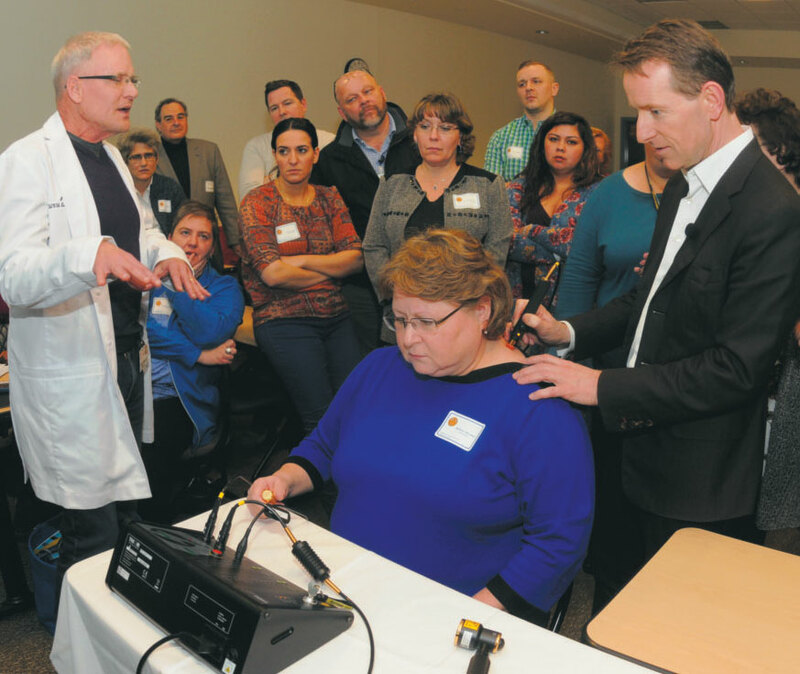 Shepherd University in partnership with the Photobiomodulation Therapy Foundation, announced its new health education initiative Wednesday during a day-long workshop, which introduced PBM, or photobiomodulation, to Shepherd’s advanced practice nurses and faculty members. It is considered the first step in bringing the application of light-based treatments into the nursing curriculum. Shepherd University announces new strategic health education initiative. 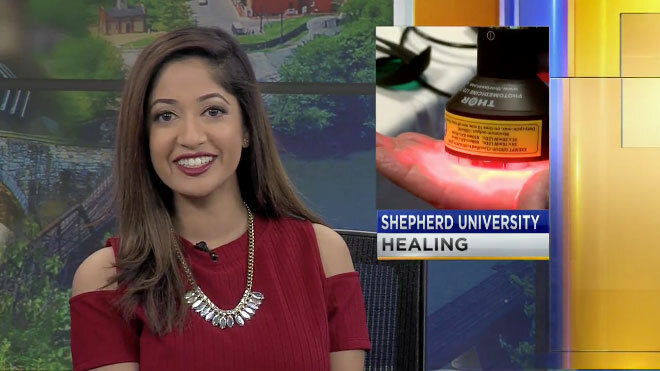 Shepherd University and the PBM Foundation will tackle healing in a different way, by bringing the science and application of light-based treatments into their curriculum. Photobiomodulation is low intensity laser treatment that has been shown to reduce inflammation, improve healing and reduce pain from back and neck pain, from sports injuries, after surgery and after radiotherapy treatments. This low intensity laser light is applied to injuries for one minute per treatment site. Multiple sites may need treatment so treatment time can take several minutes. The laser machine is approved use by the United States, Heath Canada, UK, European Union and Australia.